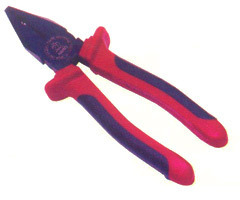 We are one of the leading names in the field of offering precision engineered and constructed range of Combination Pliers. These are made available by us with insulated handles so as to deliver efficient performance in given applications. The model range offered by us include HO-516N in lengths of 150mm (6"), HO-517N in lengths of 175mm (7") and HO-518N	in lengths of 200mm (9").